Whether you have antique furniture or modern furniture it will eventually start to show wear and tear. 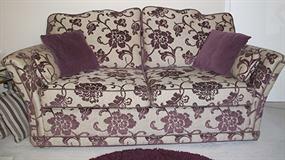 Our furniture reupholstery service is ideal for restoring your furniture and making it look as good as new. All of our suite repairs and upholstery services in Leeds and the surrounding areas are carried out by our experienced staff, and we are always happy to help you with any enquiries you may have. Our number one aim is to provide a high quality service that our customers are completely satisfied with.